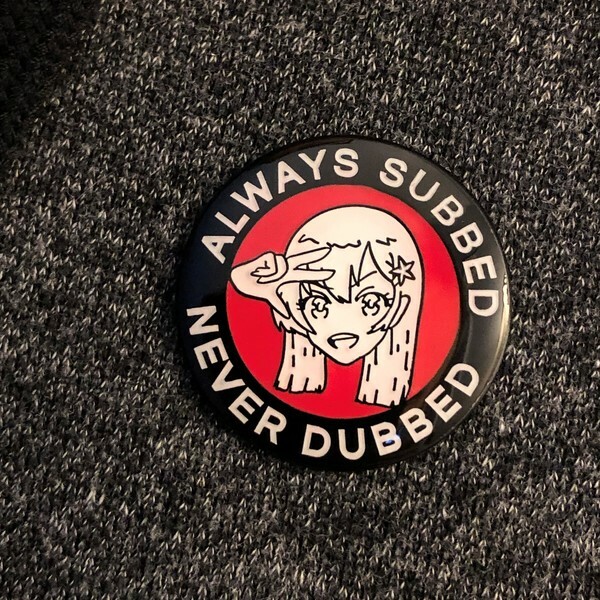 High quality enamel pin. This is for everyone who had to mailorder their anime on VHS tapes and choose ahead of time if they wanted English subtitles or English audio. Now that we've entered the age of DVD, you can just change your settings on the fly. Must be nice! Custom art by Jessica Lynn aka Corpsetits.